Explanation: What do Saturn's rings look like from the other side? From Earth, we usually see Saturn's rings from the same side of the ring plane that the Sun illuminates them. Geometrically, in the above picture taken in April by the robot Cassini spacecraft now orbiting Saturn, the Sun is behind the camera but on the other side of the ring plane. This vantage point, specifically 17 degrees above the ring plane, gives a breathtaking views of the most splendid ring system in the Solar System. Strangely, the rings have similarities to a photographic negative of a front view. The ring brightness as recorded from different angles indicates ring thickness and particle density of ring particles. 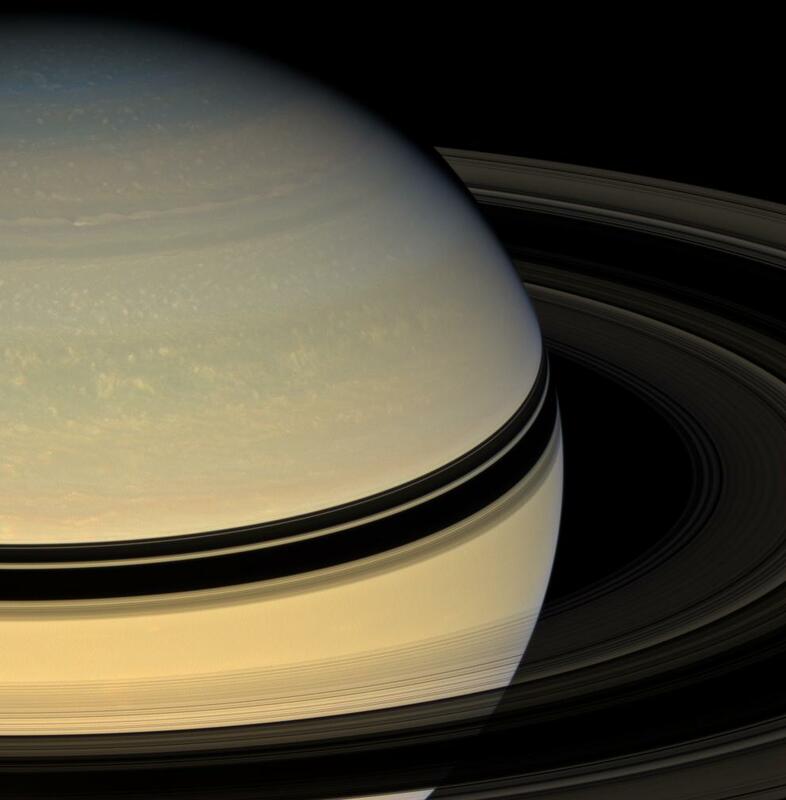 Elsewhere, ring shadows can be seen on the sunlit face of Saturn, shown sporting numerous cloud structures in nearly true color.